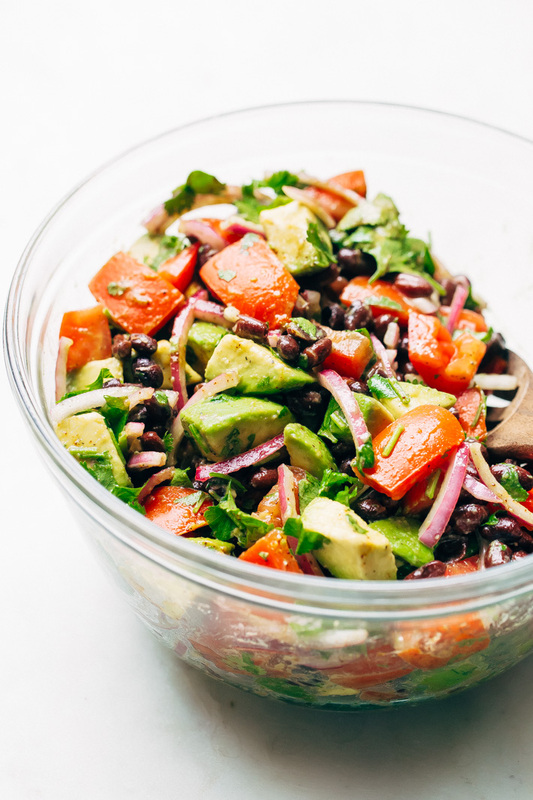 A super simple black bean tomato avocado salad that is LOADED with flavor! Big bonus: this salad tastes like guacamole! Avvvvocados all up in my salad! ? And thank the Lord that there is finally an avocado emoji for me to obsessively use, what am I even talking about? Talk about old news; that’s so 2016, right? I’ll put that bad boy on just about anything though. ‘How was your day? ?’ ‘Whatcha up to? ?’ There is never a wrong time to pop that avo-moji to brighten up your friends day. 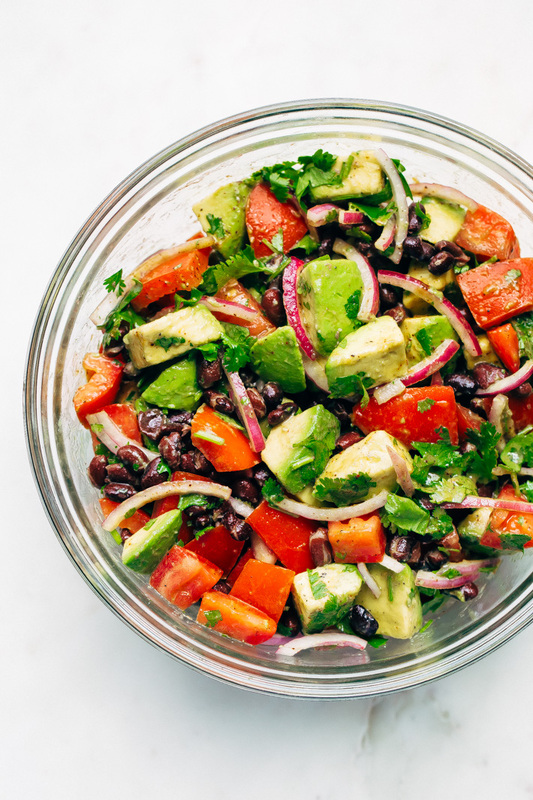 Thing #1: this tomato avocado salad is utterly addicting. Thing #2: I’m one of those people that obsessively, mentally pre-order their meals in their minds. Friends, we live in a day and age where we get on the information highway and with a few clicks right onto the menu of the restaurant we’re eating at. True story: I’m having lunch with friends tomorrow, and I already know what I’m getting, sorryI’mnotevensorry. Quinoa stuffed avocados, I’m coming for you! Friends, let us not waste any time. If you can’t already tell, I completely adore this salad for far more reasons than the fact that this is an AVOCADO salad. I mean, I finally just went right ahead and did it. You’ve only heard me complaining about lettuce-centric salads for the last three years. Then one day I woke up, pushed the head of romaine to the back of the fridge (umm out of sight, out of mind, right) and made a salad that has real sustenance like tomatoes and avocados and black beans and zero leafy greens. 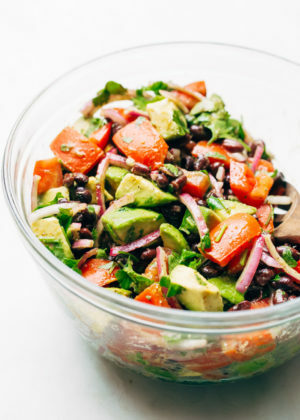 Let me be presumptuous and say, you and I are both going to be bingeing on black bean tomato avocado salad for the next oh, like 200 lunches or so. Friends, this is not a drill, I repeat, this is not a drill. This me giving you the best thing I could give anyone: GUACAMOLE in the form of a salad for lunch. If you plan on going the salad + chips route, let me give you an insiders tip: don’t sit down with the whole bag. 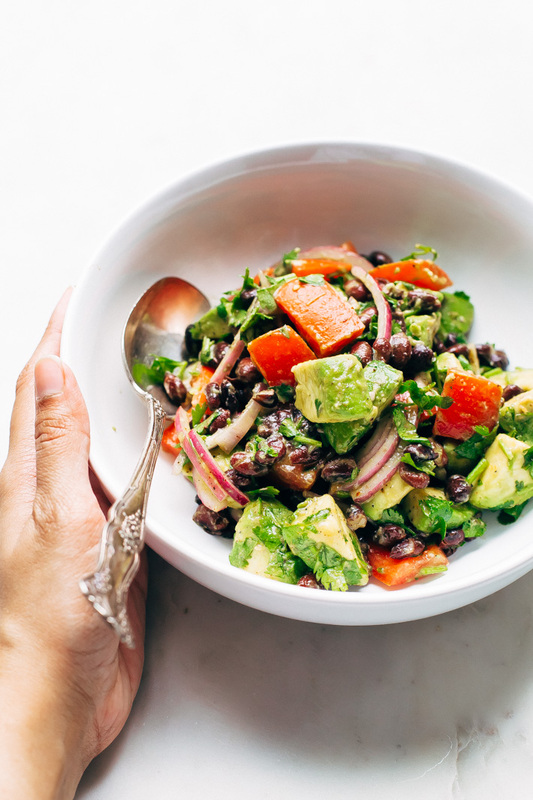 This avocado salad can quickly disappear on you, and before you know it, you’ve consumed what 6-8 people would’ve otherwise eaten, yikes! 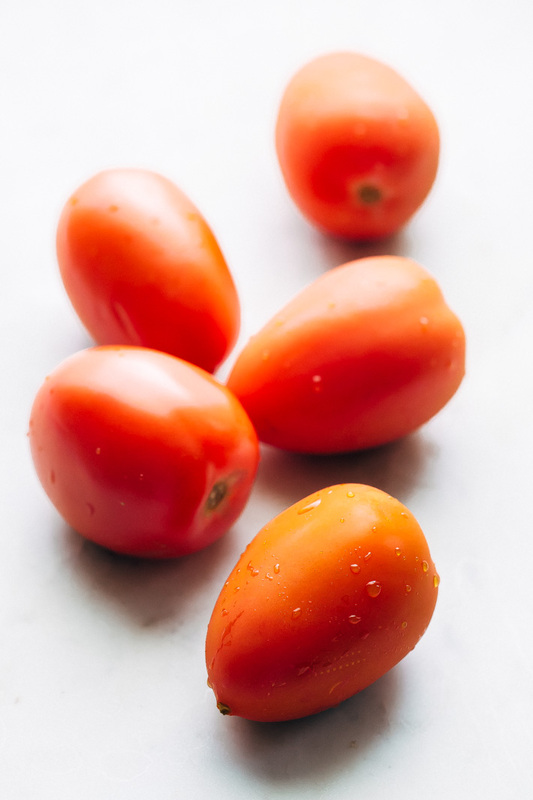 Okay, let’s talk about how to make the tomato avocado salad that I could rave about for the rest of my life. 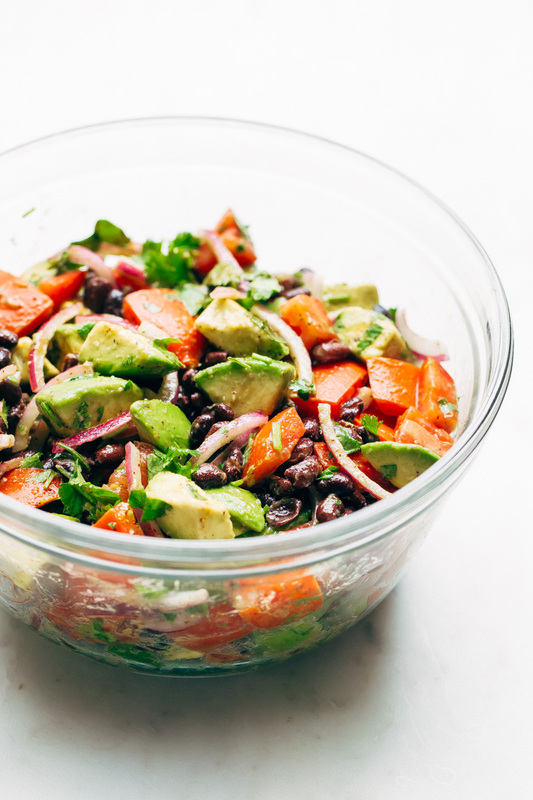 This salad takes about 10-15 minutes to make from start to finish depending on how long it takes you to dice the tomatoes, avocados, red onions, and how long it takes to pop open a can of black beans. The dressing is honestly the simplest thing ever: equal parts lemon juice and EVOO with a little salt and pepper. I prefer the salad with a sprinkle of ancho or chipotle chili powder on top because we like things with some smoky heat, but cayenne works just as well if you can’t find either of those but still want a little bit of that spice. And holy guacamole, I just had a vision for making this a complete dinner package. I’m seeing you grilling up cilantro lime shrimp skewers  and tossing them into this tomato avocado salad right before you serve it up. Gotta make sure you’ve got something for the protein heavy-hitters too! ?’cause this is all we know; this feeling’s all we know ? 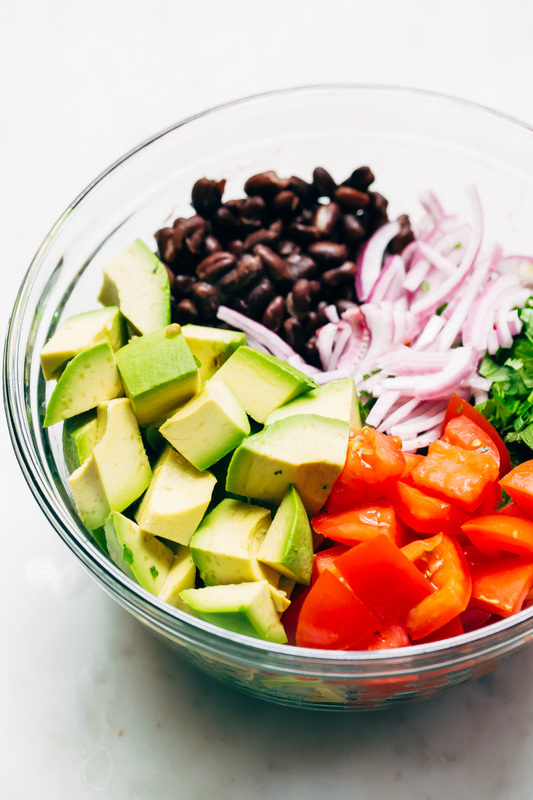 Combine the avocados, tomatoes, onions, cilantro, and black beans in a large bowl. Drizzle the olive oil and lemon juice, season with salt and pepper and a dash of chili powder or cayenne. Toss the salad gently. Adjust seasonings to taste. Grilled chicken or cilantro lime shrimp skewers  would be great to toss in or serve on the side. 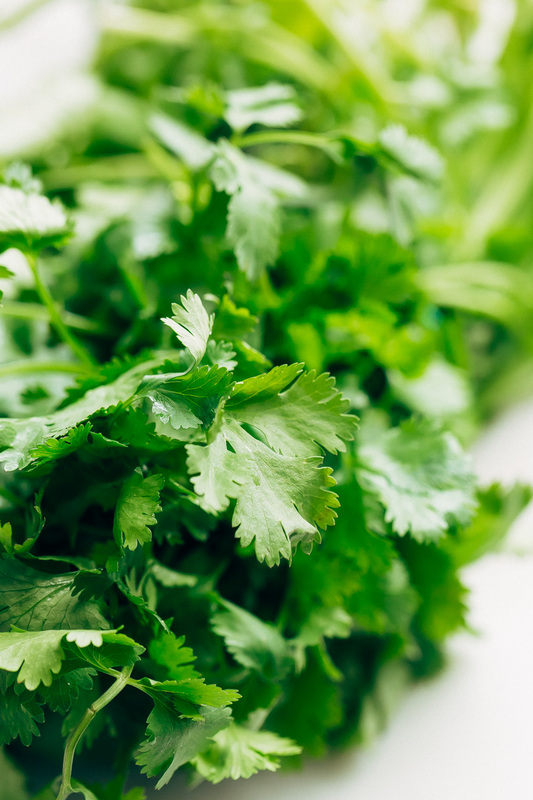 Parsley is a good substitute if you aren’t wild about cilantro the way I am. 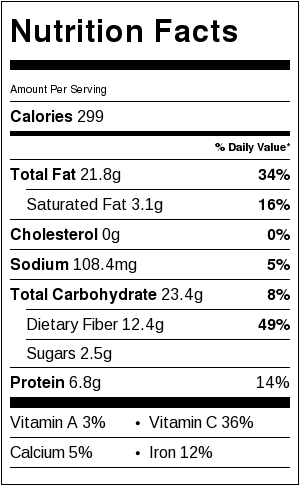 nutritional facts are for 1/6th of the recipe which was the perfect serving size for us.